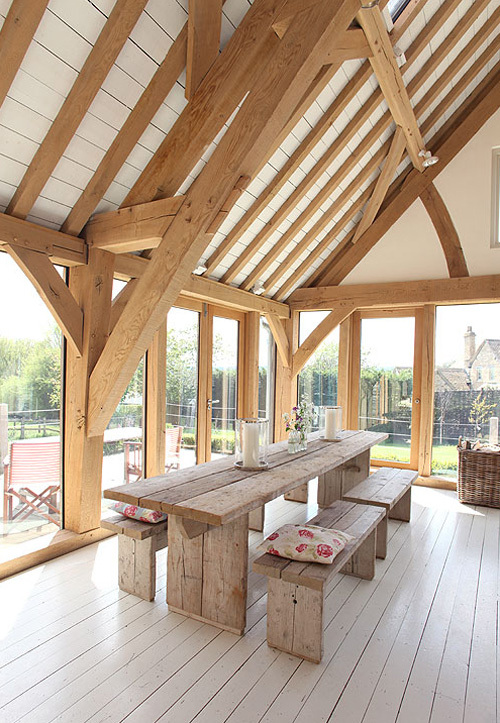 Today I’m loving … this renovated barn with high ceiling and beautiful beams. The barn is attached to a Cotswold stone house and is located in the UK. What wonderful light!! open and spacious. Oh my goodness I love that long wooden table so much… and the addition of two lovely floral pillows gives the room the perfect amount of warmth. Great find! I love that table. It is simply amazing. Also the lighting of the barn… SUPERB. Where is this table from?